The Norfolk Tides looked to be a winner on Sunday leading 4-0 in the 6th inning when things began to come apart. The Tides had taken a 3-0 lead in the top of the 3rd inning when Paco Figueroa singled and Matt Angle reached on an error and Figueroa advanced to 3rd base. With runners on 1st and 3rd Robert Andino singled to bring home Figueroa. Michael Aubrey struck out for the second out before consecutive singles by Nolan Reimold and Lou Montanez which scored Angle and Andino to give the Tides a 3-0 lead. In the top of the 6th the Tides added to their lead as leadoff batter Lou Montanez reached second on a throwing error by shortstop Luis Bolivar. With 2 outs catcher Michel Hernandez delivered a single to score Montanez to give the Tides a 4-0 lead. Starter Troy Patton who pitched a shutout for five and two thirds innings gave up a walk to Troy Glaus and then a home run to Barbaro Canizares. He got out of the inning with the Tides still leading 4-2 and would be relieved by Pat Egan in the 7th. Of late the Tides relief pitching has been exceptional often going long and shutting out the other team to keep the Tides in the game. It was not so Sunday as nearly every reliever struggled to some degree in the 7th inning. Egan allowed 2 runs on one hit but only one was earned getting only 1 man out. Alberto Castillo fared no better allowing 2 runs on 2 hits again getting only one man out and finally Jim Hoey who allowed 2 runs on 2 hits but got the final out. Castillo (1-2 4.58 ERA) would get credit for the blown save and the loss and Braves middle reliever Michael Broadway (3-0 5.68 ERA) took the win. The Tides had 4 runs on 6 hits with no errors leaving four men stranded. The Braves 8 runs on 10 hits with 2 errors leaving 8 men on base. 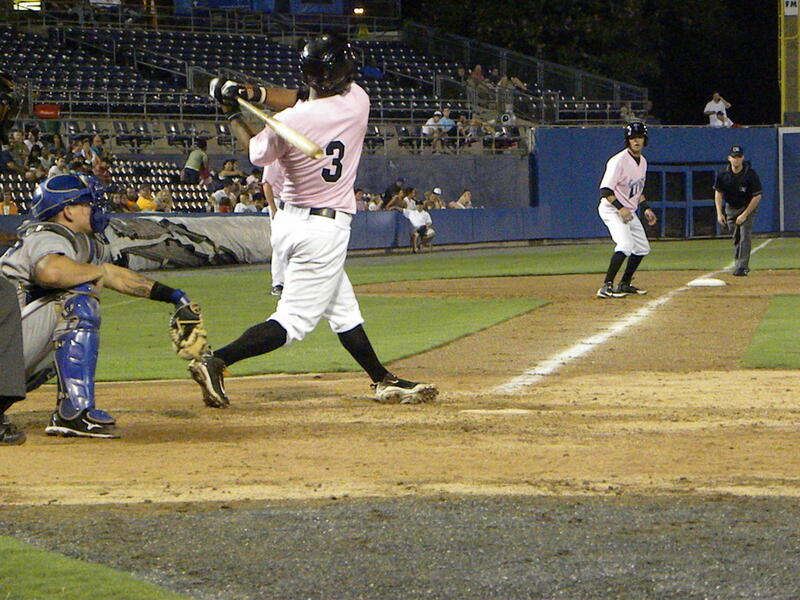 On Monday night the teams played the final game of the series with the Braves shutting out the Tides 4-0. Zach Britton pitched well for the Tides giving up only 1 earned run in 5 innings work but victimized by errors committed by Blake Davis and Robert Andino. Tides hitters were shut down by Braves starter Scott Diamond (4-0 2.41 ERA) who pitched a complete game two hit shutout. The Tides mustered no runs on 2 hits and committed two errors leaving 3 runners aboard while the Braves had 4 runs on 10 hits with one error. Barbaro Canizares homered for the Braves. The teams meet tonight at Harbor Park with Chris Tillman (10-7 3.53 ERA) making what will likely be his final start for the Tides before going to Baltimore as a September call-up facing Jose Ortegano (3-9 6.31 ERA). Other Tides will likely make the trip to Baltimore over the next couple of days and if I was a betting man I would guess that pitchers Armando Gabino, Frank Mata and Kam Mickolio who are all of the 40 man roster get the nod as well as Nolan Reimold, Brandon Snyder and Lou Montanez. I would like to see a few others get called up in some case as nothing more than for loyally staying in the organization. I would like to see Dennis Sarfate, Andy Mitchell and Jim Miller get the call although only Sarfate has the numbers to support a call up. I would also like to see Paco Figueroa and Matt Angle get a few swings in the majors. The champagne was flowing in visitor’s clubhouse as the Durham Bulls clinched their 5th straight International League South Division title at Harbor Park. The Bulls who currently are 32 games above 500 have the best record in the League and 14 ½ games up on the second place team the Gwinnett Braves defeated the Norfolk Tides by scores of 8-6 on Thursday and 3-1 on Friday. The Tides did not make the Bulls final steps to the title easy giving them a run for their money both nights. On Thursday Troy Patton got the start for the Tides pitched well for 4 innings before running into trouble in the 5th inning. He gave up a run in the 4th and 2 in the 5th before being relieved by Pat Egan with 1 out in the top of the 5th inning. He left the game with the lead as the Tides has scored 3 runs in the 1st and another in the 2nd to take an early 4-0 lead off Durham starter Darin Downs who was making a spot start for the Bulls. In the 7th inning the Bulls tied the game. Egan gave up two singles with one out and was relieved by Frank Mata. Elliott Johnson hit what could have been a double play producing ground ball to Shortstop Robert Andino but Andino misplayed the ball and was slow to get back to the ball. It was almost as if he forgot that the runner on second was there which allowed that runner, the speedy Desmond Jennings to score the tying run. 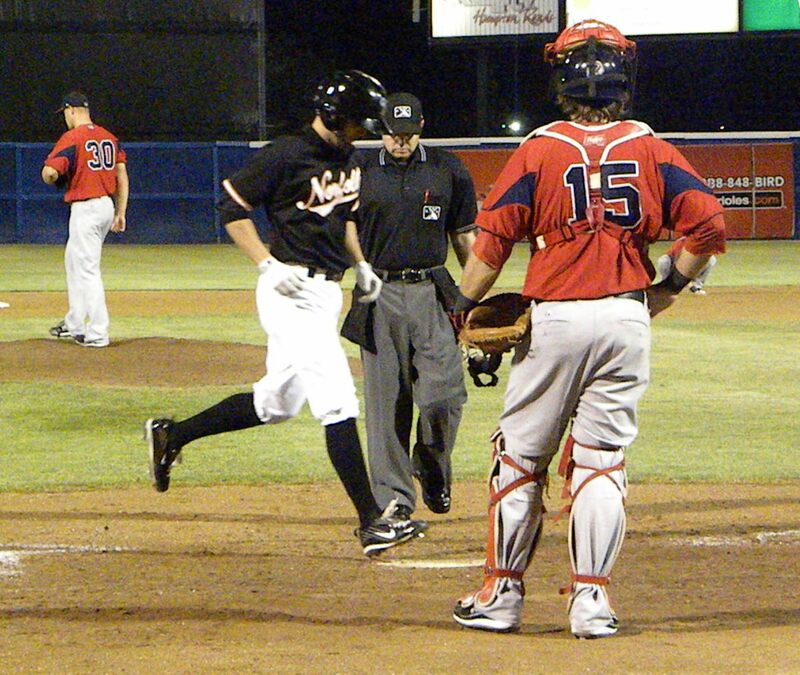 In the 8th inning when Mata gave up a leadoff home run to Leslie Anderson and then proceeded to load the bases before walking J.J. Furmaniak to score Angel Chavez. He was relieved by Cla Meredith who got the second out before Justin Ruggiano hit a grounder with eyes that got through to left for a single to score Omar Luna and Desmond Jennings. He then retired Rocco Baldelli to end the inning with the Bulls now leading 8-4. The Tides scored two runs in the bottom of the eighth inning on a two run home run by Robert Andino, his 13th of the year. Nolan Reimold doubled but was left stranded at second when Scott Moore flied out to right. Meredith held the Bulls in the 9th inning but the Tides went down in order in the bottom half of the inning thanks to a game ending double play. The Bulls had 8 runs on 14 hits and committed 2 errors stranding 10 runners and the Tides 6 runs on 14 hits and one costly error by Andino. The Tides left 11 men on base. Dale Thayer (3-1 3.40 ERA) the Bulls’ third pitcher of the night got the win and Frank Mata (3-3 4.02 ERA) got a blown save and the loss for the Tides while Winston Abreu got his 19th save of the year. 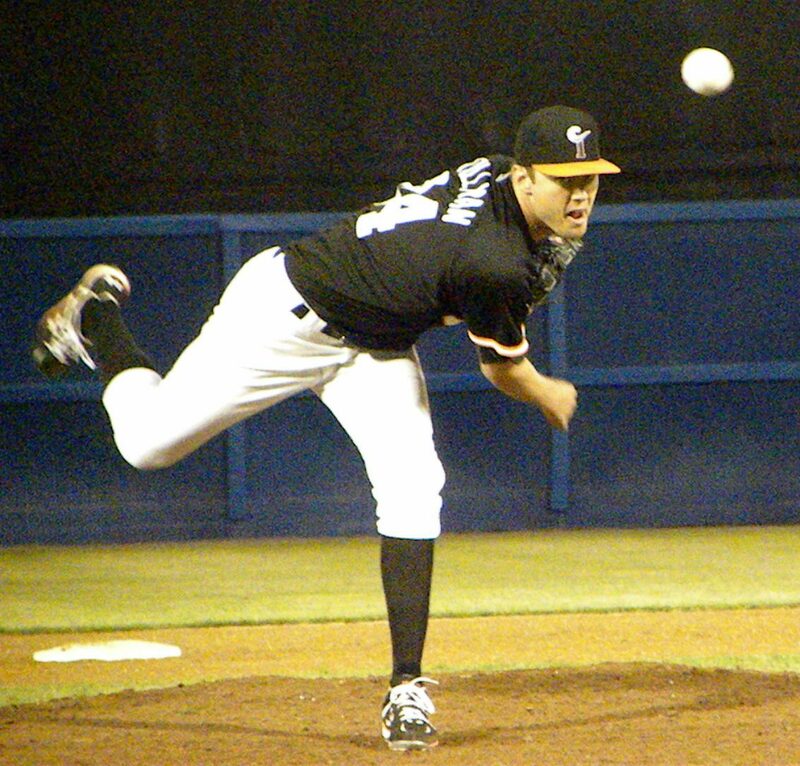 On Friday it was a pitchers’ duel as Zach Britton faced off against Ramon Ortiz. Britton gave up a run in the 1st inning on a single to Chris Richard and a double to Rocco Baldelli and that would be the last run that the Bulls scored until the 7th as Zach allowed just one more hit during the evening. The Tides scored a run in the bottom of the 3rd loading the bases on a walk to Adam Donachie, an infield hit by Paco Figueroa and a walk to Matt Angle. Unfortunately the three of the Tides most productive RBI men, Robert Andino, Jeff Salazar and Nolan Reimold were retired and the Tides scored the one run when Donachie scored on a ground out by Salazar. Neither side mustered anything until the 7th inning. Britton retired the first batter that he faced, Dioner Navarro on a ground ball to second. He then walked J.J. Furmaniak and Angel Chavez and was relieved by Jim Hoey. 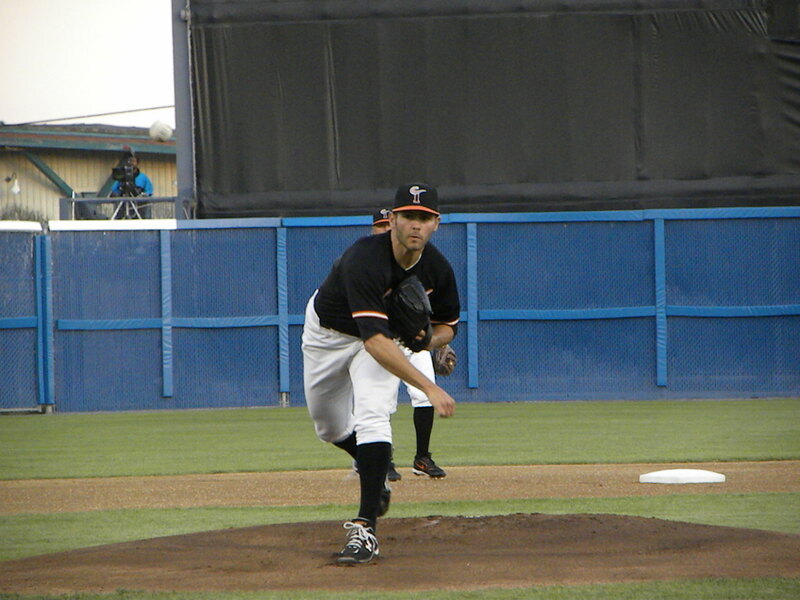 Hoey who has been very good for the Tides since coming up from double-A Bowie appeared to have things under control. However, with the runners now on 2nd and 3rd he issued a wild pitch with Desmond Jennings at the plate. 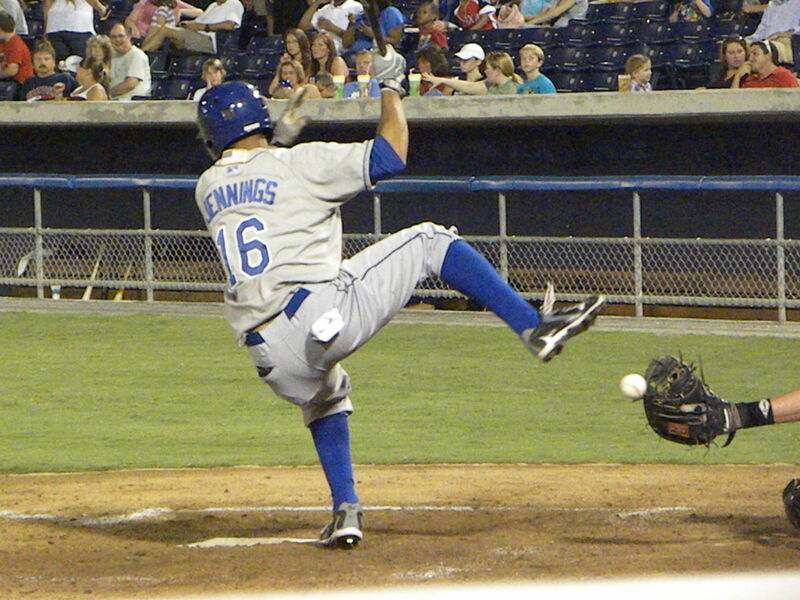 This allowed Furmaniak to score before Hoey struck out Jennings to end the inning. In the bottom half of the 8th Nolan Reimold singled and Brandon Snyder walked by Joe Bateman struck out Scott Moore and Lou Montanez to end the threat. In the 9th the Tides brought out closer Dennis Sarfate who gave up an uncharacteristic home run to leadoff hitter Rocco Baldelli before retiring the rest of the Bulls in order. In the 9th it looked like the Tides might come back. With 1 out Paco Figueroa singled and Matt Angle hit a sinking fly ball which looked to be a sure hit possibly one that could get by left fielder Justin Ruggiano but the ball hung up just long enough for Ruggiano to make the play charging in hard from left and throwing to first to double up Figueroa who like most everyone in attendance thought the ball was in for a hit. The Bulls had 3 runs on 4 hits and an error and the Tides 1 run on 7 hits with no errors. Jake McGee (1-0 0.00 ERA) got the win for the Bulls and Britton (2-3 3.08 ERA) the loss for the Tides. It was a hard loss as the Tides Britton pitched very well and even the Tides relievers with the exception of the wild pitch by Hoey and the home run allowed by Sarfate pitched well. The Bulls clinched their 5th straight IL South Title with a record of 79 wins and 47 losses, not only best in the division and best in the League but the best in between the IL and the Pacific Coast League. They have a .285 team batting average, second best in the IL and the best team ERA (3.45) in the league. The Tampa Bay Rays, the parent club of the Bulls has one of the premier organizations in baseball. They draft well, develop players well and produce at competitive teams and they build their winning teams without spending huge amounts of money, developing primarily from their own ranks. Tonight the Tides send Chris Tillman (10-7 3.51 ERA) up against Brian Baker (7-4 3.61 ERA) in game three of this elongated 5 game series. 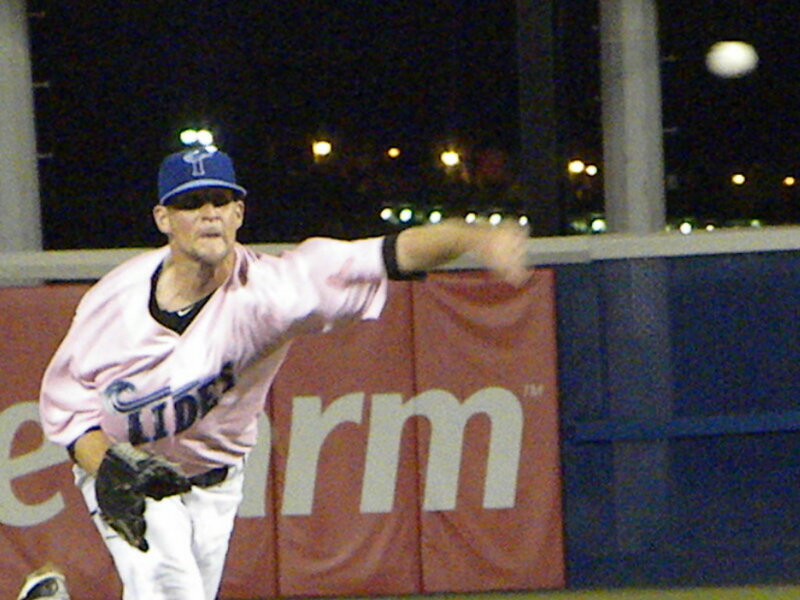 In personnel news veteran pitcher Andy Mitchell was reactivated by the Tides. After giving away Monday’s game to the Gwinnett Braves the Norfolk Tides were spoiling for a win on Tuesday and got it. The Tides were aided by 5 errors committed by the G-Braves in the game. Matt Angle led off the 1st inning with fly ball to right fielder Brent Clevlen which should have been caught for the first out of the game, however Clevlen misplayed the ball and Angle went to third on the error. Robert Andino immediately made the Braves pay for this error taking the first pitch from Braves starter Kenshin Kawakami to center field scoring Angle and giving the Tides a 1-0 lead. 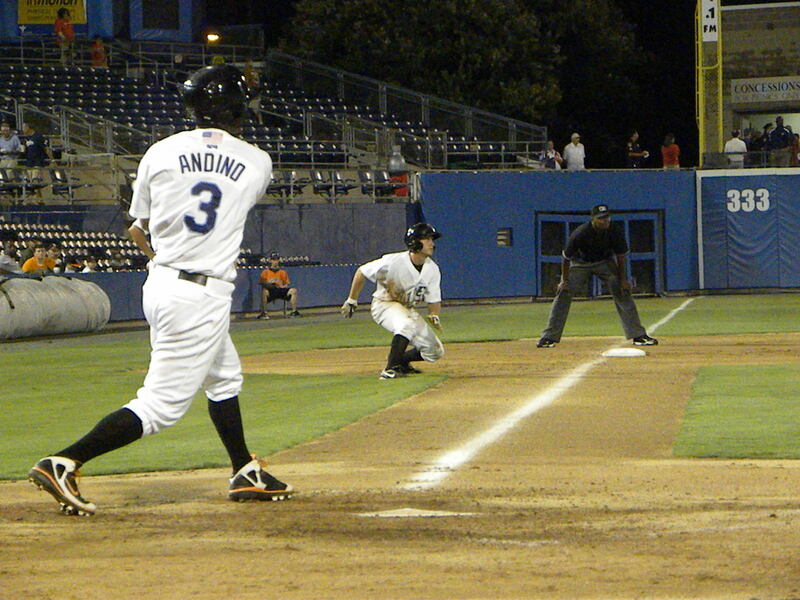 This was Andino’s 70th RBI of the season, 4th in the International League. The Tides struck again in the 2nd inning when Lou Montanez leading off the inning took Kawakami to a 3-2 count and smashed a home run over the left field wall. 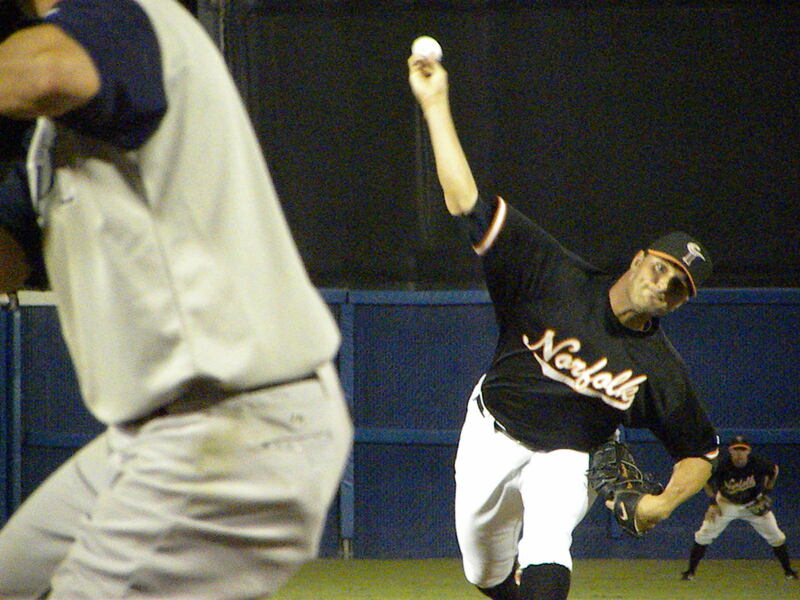 Tides pitchers made that lead stand up until the bottom of the 7th. Mike Hinckley just off the DL pitched 3.2 innings in his first start since he was at double-A Harrisburg. 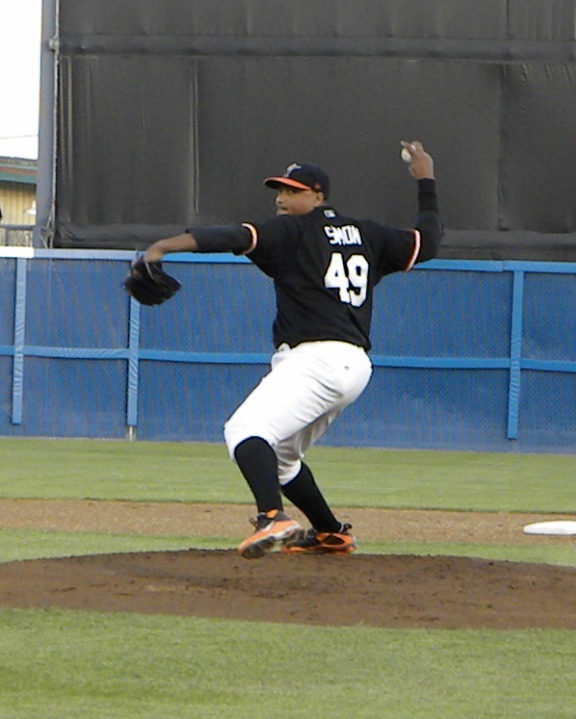 He gave up a hit and two walks and struck out two in his starting debut with the Tides. He was followed by Cla Meredith who made one of his best appearances of the year pitched two hitless innings walking just one leaving with two outs in the 6th. Alberto Castillo got the final out of the inning and yielded to Kam Mickolio in the 7th. Mickolio not long off the DL himself gave up singles to Barbaro Canizares, Willie Cabrera and Brent Clevlen with Clevlen’s hit scoring Canizares. Joe Thurston laid down a sacrifice bunt to advance the runners bringing Luis Bolivar to the plate and Bolivar grounded out to score Cabrera. Mickolio then got J.C. Boscan to ground out to Robert Andino to tie the game at 2-2. The 8th inning started out inauspiciously for the Tides with quick as Matt Angle and Robert Andino both went down on strikes by reliever Stephen Marek. However with 2 outs the Tides got another chance when Marek misplayed a ground ball allowing Jeff Salazar to get to first. Marek then walked Nolan Reimold to send Salazar to second base. Marek’s problems were compounded when catcher J. C. Boscan attempting a pick off of Montanez at 2nd base threw the ball away allowing Montanez to take third. Scott Moore then doubled to score Salazar and Reimold to give the Tides a 4-2 lead. Dennis Sarfate entered the game in the 8th for a 2 inning save attempt and Dennis was sharp setting the Braves down in order in the 8th and 9th innings striking out two in the process to give the Tides the win. Kam Mickolio (3-2 6.84 ERA) got the win and Dennis Sarfate picked up his 16th save and Stephan Marek (1-1 1.26 ERA) got the loss. The Tides had 4 runs on 5 hits with no errors leaving 6 stranded and the Braves had 2 runs on 5 hits with 5 errors leaving 6 men on base. Wednesday was an off day for the Tides who begin a 5 game series against division and league leading Durham Thursday the 19th. Rain could be in the forecast so bring your umbrella if you come and join me at the Church of Baseball, Harbor Park Parish. After losing the opening game of their series against the Pawtucket Red Sox the Norfolk Tides dominated the Boston Red Sox AAA affiliate on a beautiful Wednesday night. Baltimore Orioles General Manager Andy McPhail and 3872 of his closest friends, except the Pawsox fans enjoyed the moderate temperatures and light winds which made the night a beautiful night for a ball game. Tonight it was Chris Tillman (4-4 3.31) who shut down the Pawsox for seven innings allowing no runs and only three hits striking out 4 and walking only 2. Tillman was followed by Pedro Viola in the 8th inning and Viola made things a bit sporty for the Tides allowing a run on two hits before retiring the side. Denis Sarfate entered in the 9th inning and after retiring Aaron Bates walked Dusty Brown and then gave up a single to Lars Anderson who with a name like that needs to be on the Norwegian Biathlon Team. After a visit to the mount by manager Gary Allenson Sarfate walked Tug Hulett to load the bases with one out. Allenson then took Sarfate out for closer Frank Mata (0-0 1.96) who got Bubba Bell to ground out to first which allowed Brown to score and then struck out Ryan Khoury to end the game and notch his 8th save of the year. 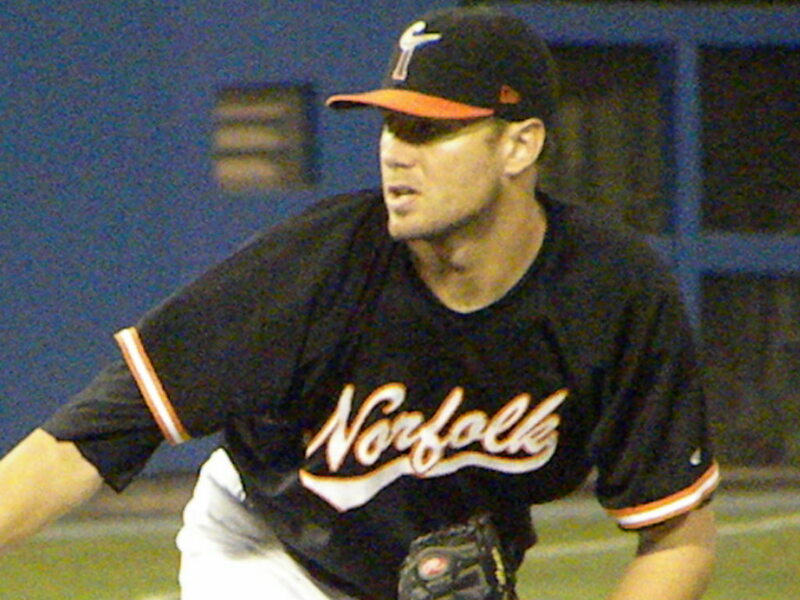 Tonight the Tides hitters finally started hitting the long ball and it began with Scott Moore who crushed a 2-0 pitch over the right field wall which drove in Nolan Reimold who had walked. In the 3rd inning Adam Donachie singled and Justin Turner blasted a one out shot over the left field wall bouncing the ball off a picnic table in the left field picnic area to score two more runs for the Tides extending their lead to 4-0. That score would remain until the 6th inning when Scott Moore did not leave us waiting from more but smashed a two out 2-0 pitch from Sox starter Michael Bowden which left the ballpark completely passing over the bullpen in the direction of the East Fork of the Elizabeth River. Good thing there were no boats passing by or we might have needed a rescue team. That ended the scoring for the Tides and though the Pawsox attempted a comeback they fell short. The Tides had 5 runs on 7 hits and an error leaving two men on base. The Sox had 2 runs on 6 hits and no errors leaving 7 runners on base. On Thursday the Tides and the Sox meet again at Harbor Park with Tides ace Jake Arietta (3-2 2.20) going up against Fabio Castro (2-2 6.56). Hopefully the Tides will take advantage of the momentum generated tonight and transfer it into solid pitching and hitting on Thursday night at Harbor Park. The weather should be excellent to see a game so see you there. The Norfolk Tides and the Syracuse Chiefs met in the third game of a four game series on Wednesday night and the story was pitching, in particular the pitching of Stephen Strasburg. The high sought rookie and MLB number one draft pick made his second AAA appearance for the Syracuse Chiefs as he is prepared by the Nationals organization for his Major League debut and it was a beauty. Strasburg owned the Tides tonight and went six innings surrendering no runs and no hits, striking out seven and walking just one leaving Norfolk Tides batters wondering just what train hit them. Strasburg also had a little help from his friends at the plate and in the bullpen. The Chiefs scored four runs in the bottom of the 5th inning and that would be more than enough to roll back the Tides on this cool, cloudy and windy night in front of 6720 fans at Alliance Bank Field on the west side of downtown Syracuse near Lake Onondaga. Drew Storen came on in the 7th inning and pitched and and a third innings giving up a single and two walks. Ron Villone came in with one out in the top of the 8th inning giving up just a hit and a walk. 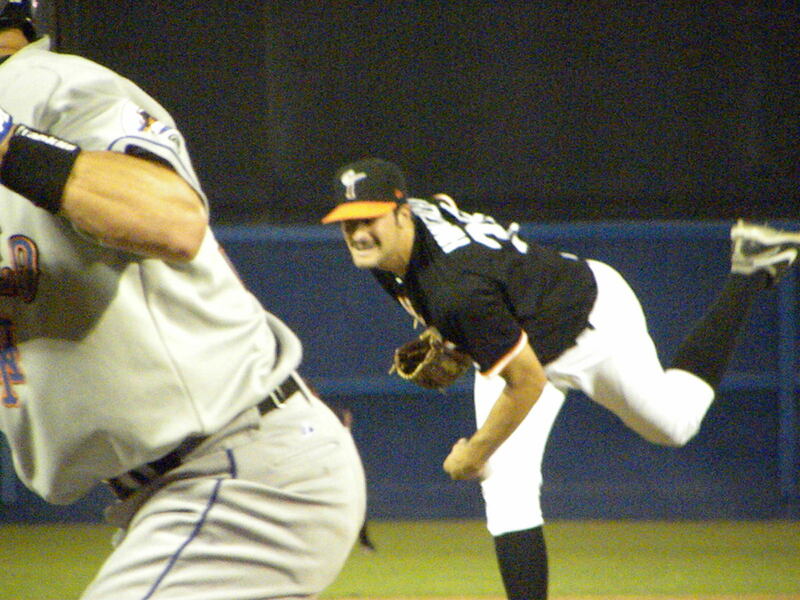 The Tides started Troy Patton and with two outs in the 5th inning his game came apart. After getting Pedro Lopez to hit into a 4-6-3 double play Patton walked Justin Maxwell. Former Tides outfielder Chase Lambin singled bringing up Kevin Mench who singled to left to score Maxwell and send Lambin to third. Troy then Mike Morse walked on 4 pitches to load the bases. Josh Whitesell took the count to 3 and 1 and then tripled to clear the bases. Patton then retired Seth Bynum on a called third strike to end the inning. Denis Sarfate and Alberto Castillo pitched the final two innings for the Tides allowing no runs on no hits and only a walk surrendered by Sarfate. The final was the Tides 0 runs on 2 hits and 1 error with 4 men left on base. The Chiefs had 4 runs on 6 hits and 1 error with 7 left on base. 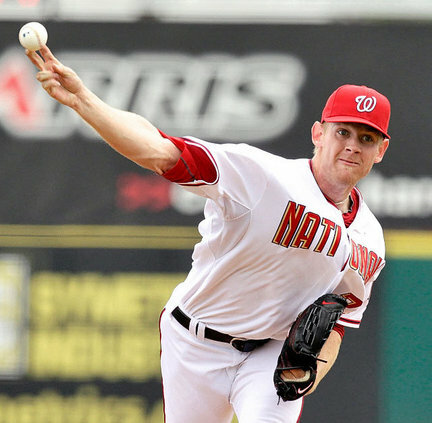 Patton (2-4 5.65) got the loss and Strasburg (2-0 0.00) the win. The teams play again to close out the series before most of our lunch breaks beginning at 1030 AM at Alliance Bank Field. Brandon Erbe (0-6 7.20) gets the start for the Tides and will face Andrew Kown (1-2 2.79) who will take the hill for the Chiefs. There was a personnel move involving the Orioles and the Tides. 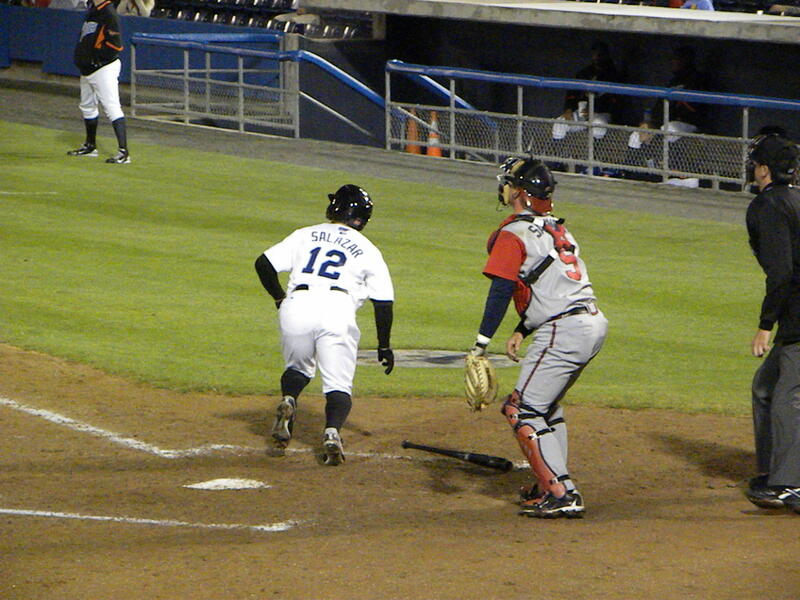 Second Baseman Paco Figueroa was assigned to the Tides from AA Bowie while Corey Patterson who in his brief time with the Tides earned a place back on a major league roster was promoted to Baltimore and Nolan Reimold who has struggled battling a nagging heel injury that occurred in 2009 that has limited his play and effectiveness was optioned to the Tides. Meanwhile in Baltimore it was a night for former Tides pitchers. 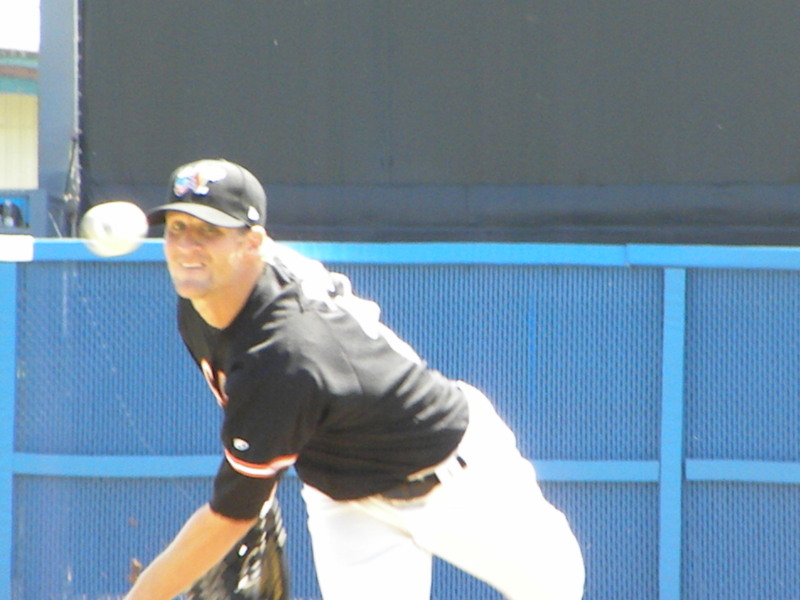 Brad Bergeson after coming back to the O’s from a brief stint with the Tides picked up his third victory in as many starts and Alfredo Simon got his fourth save. Corey Patterson singled and scored a run in his Orioles debut. The Orioles defeated the Mariners at Camden Yards by a score of 5-2. After winning convincingly on Wednesday night the Norfolk Tides could not repeat and fell to the Gwinnett Braves 8-3 on a sunny spring afternoon at Harbor Park in front of 4375 fans. While fog enshrouded the home of the Tides in the morning it had dissipated by game time to reveal a beautiful day for a baseball game. I personally don’t give a kilo of Limburger cheese if the rest of the country is focused on the NFL Draft tonight as I prefer Gordon Biersch draft beer, preferably Czech Pilsner and the Church of Baseball to football in general. However I also enjoy the seasonal so long as it is not a Weizen and my mind and heart still believe the baseball is the true love of the Deity Herself and that she finds football in all forms only a mildly interesting metaphor for the Valley of Megiddo, but I digress. After a convincing win on Wednesday night Tides starter Brandon Erbe (0-3 7.98) gave three runs in the top of the first inning on three hits and two more in the fourth on three hits. All told Erbe gave up 5 runs on 7 hits however he gave up two home runs to Tides killer Freddie Freeman who hit his third home run of this series and doubles to Gregor Blanco, Mitch Jones and Jean Boscan. The Braves would score 3 runs off of reliever Andy Mitchell before Jim Miller stood into his closer role in the bottom of the eighth giving up one hit and no runs. 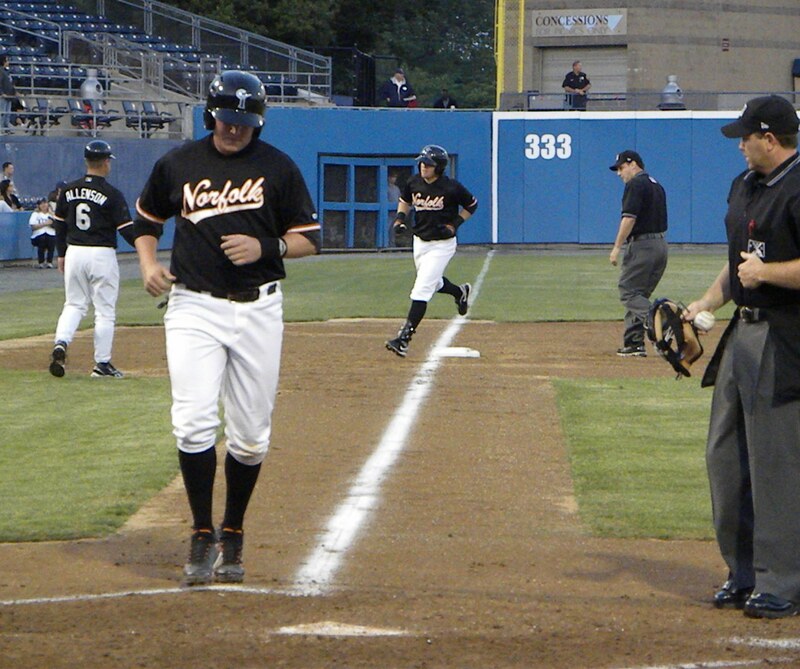 The Tides did have some hitting; Jeff Salazar hit a two run shot in the bottom of the third driving in Joey Gathright. Rhyne Hughes hit a solo shot to lead off the bottom of the fourth. The Tides would muster no more runs although Joey Gathright would double in the fifth. The Braves had 8 runs on 13 hits with no errors and the Tides 3 runs on 8 hits with two errors one of which a throwing error by Second Baseman Blake Davis resulted in a Braves run. Brandon Erbe took the loss, his third of the young season and one has to wonder if it is a matter of confidence or mechanics that is the root cause of his lack of success. I would lean toward being uncomfortable in his first start and then lost his confidence and has not regained it. Andy Mitchell gave up one earned run on 3 hits in two innings of relief work and Jim Miller reprising his closer role from the first half of 2009 where he made the International League All-Star team allowed no runs on one hit. With the loss the Tides fall to 5 wins and 10 losses falling 7 games behind the Durham Bulls who appear to a be the league Leviathan who are 12-3 and have scored 98 runs on 155 hits devastating many of their opponents with lopsided double digit wins. Their pitching has been equally dominating allowing the fewest hits and the second best ERA in the League. With the Tampa Bay Rays looking good and appearing deep the Bulls could well be on their way to repeating their 2009 AAA Championship and lead their nearest division competitor the Charlotte Knights by five games. Unfortunately I had to work and had to catch snippets of the game between meetings and patient visits on MiLB Game Day. The Tides will travel to Charlotte for a four game set against the Knights beginning Friday night which kicks off an eight game road trip which will also take them to Gwinnett. Chris Tillman (0-3 8.38) will try for his first win of the year going up against Charlotte’s Lucas Harrell (1-1 5.82) who defeated the Tides on the 13th allowing no runs and five hits in six innings work. The Tides have added Left Handed Pitcher Pedro Viola who the Orioles picked up off waivers from Cincinnati. Viola provides a badly needed left handed arm for the Tides bullpen and will be on the Orioles 40 man roster. With Alberto Castillo and Kam Mickolio called to Baltimore and Dennis Sarfate on the DL the Tides bullpen has lost some of its power pitchers and the Tides have but two left handed pitchers on their roster. The Tides for better or worse are inexorably bound to the fortunes of their parent club the Baltimore Orioles who have taken some major losses to injuries and are struggling. While I believe that they will recover for the time being they have been forced to call upon the Tides incredibly early in the season for position players as well as pitchers, something that was not expected. will return to Harbor Park on May 1st to face the Scranton Wilkes-Barre Yankees. Well sports fans I was not able to make the afternoon game at Harbor Park this afternoon a little thing called work got in the way, however between counseling young sailors I was able to listen to the game in the internet and thus still kept my finger to the pulse of the Tides. Speaking of the “pulse” the Tides bats which were dead on arrival last night came back to life as if resurrected by the Lord himself. Part of this may have been due to the weather which was a bit more temperate and a whole lot less wet than last night proving once again if you don’t like the weather in Hampton Roads wait five minutes. 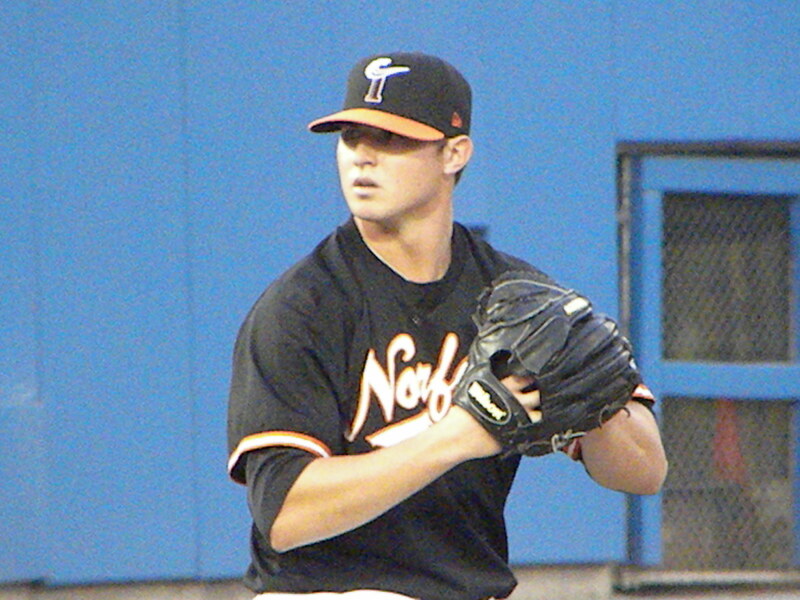 Tides starter and Orioles hot prospect Jake Arrieta pitched seven innings shutting down the Knights allowing only 3 hits while striking out five. 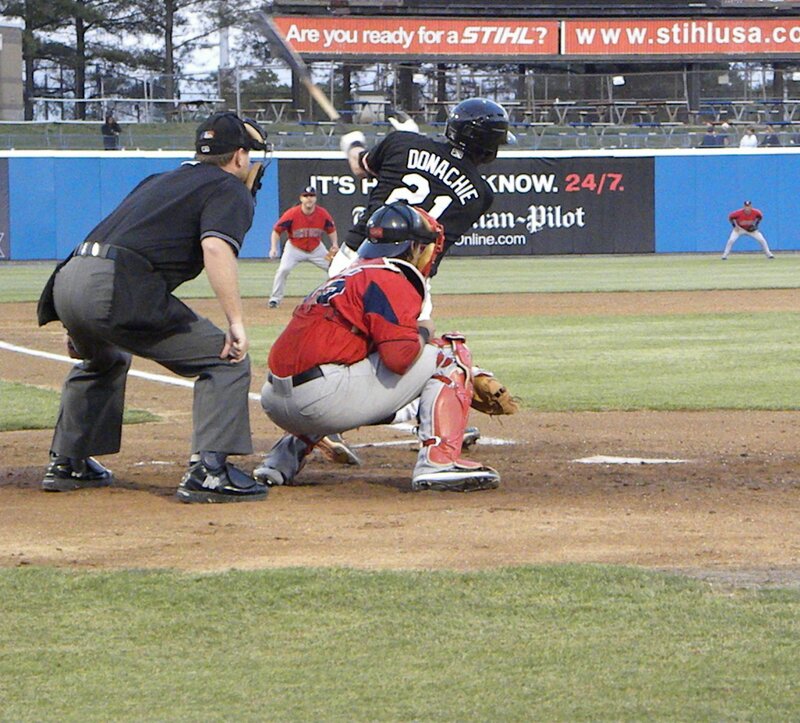 Knight’s starter, International League MVP and White Sox prospect Carlos Torres who had shut down the Gwinnett Braves last week in his first start of 2010 allowed 4 runs on 6 hits giving up 3 walks taking the loss in front of 3002 fans and one that was not in the ball park. Guess who? The game was a study in contrast compared with the last two games against the Knights. Today the Tides could do nothing wrong and the Knights; well their day was very dark, much like the Tides outing last night only this happened in broad daylight. The Knights only got 4 hits and were held to no runs by Arrieta and Ross Wolf and had their usually solid Shortstop Brent Lillibridge make two errors on the way to the loss and the Knights left 6 runners on base. I guess that their prayers to Jobu didn’t get answered. The Tides barrage began in the bottom of the second inning when Rhyne Hughes singled to right and Michael Aubrey doubled to right. If this had happened last night they would have died on the bases but not today. Robert Andino singled to break his hitless streak and drove in Hughes to give the Tides their first lead in three games. Adam Donachie hit a sacrifice fly to right which scored Michael Aubrey and the Tides were up 2-0. Joey Gathright walked and then Jonathan Tucker flied to center advancing Andino to third. Jeff Salazar singled to center scoring Andino and advancing Gathright to second. 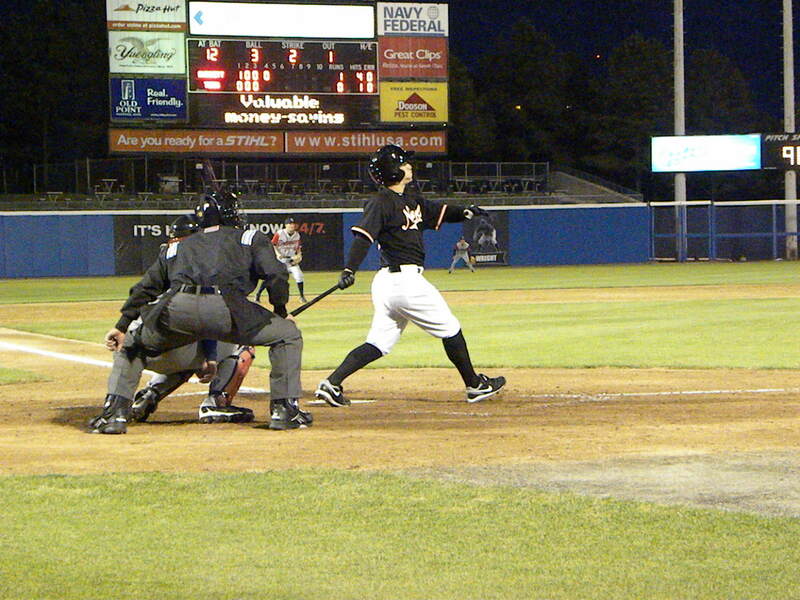 Scott Moore kept up his solid hitting singling on a soft line drive to left scoring Gathright. Salazar was out at home trying to score to end the inning. The third through the bottom of the 7th inning were uneventful for both teams with Arrieta continuing to take down Knights batters although the Tides left 2 runners on base in the bottom of the sixth. Wes Whisler replaced Torres for the Knights in the top of the sixth. In the bottom of the 7th the Tides started took advantage of Whisler surrendering two walks to Jonathan Tucker and Brandon Snyder bringing Rhyne Hughes. Hughes has hit well for the Tides and today crushed a drive over the right field fence for a three run home run making the Tides lead 7-0. In the 8th the Tides brought in Dennis Sarfate to relieve Arrieta and following his last warm up pitch he came out of the game with an apparent injury to his side. No details have been released on the Tides website or Facebook page so we will have to wait and see what the injury is and hope that it does not stop him as he has pitched magnificently in his first two relief appearances. Ross Wolf then came in to relieve Sarfate. Wolf gave up a single but no runs and the Tides returned in the bottom of the 8th to continue their drubbing of the Knights. Charlotte closer Ryan Braun came in to relieve Whisler and found no success. Robert Andino reached on Lillibridge’s second error of the game going to second on an errant throw to first. Adam Donachie was out on a fly ball to Jordan Danks in center and both Joey Gathright and Jonathan Tucker walked to load the bases. Jeff Salazar then walked to bring Andino across the plate and Scott Moore hit a sacrifice fly to center which scored Gathright. The inning ended when Brandon Snyder flied out to Knights Right Fielder Josh Kroeger. Wolf came out to finish the game in a non-save situation in the top of the 9th inning striking out Stefan Gartrell and Josh Kroeger to start the inning. Dayan Viciedo singled to right to prolong the inning before Brent Lillibridge grounded to Third Baseman Scott Moore who threw to Jonathan Tucker at second to force out Viciedo to end the game. Arrieta and Wolf pitched one of the best games for the Tides in recent memory combining for the shutout striking out 8 Knights and walking only 2 while scattering 5 hits. Scott Moore, Michael Aubrey and Rhyne Hughes continue to lead the Tides offense with big hits in key situations. With the victory the Tides put an end to a three game losing streak and brought their record back to 3 wins and 4 losses. The Tides travel to Durham where tomorrow for a four game series where they will face the Bulls with Alfredo Simon on the hill for the Tides and Jeff Bennett who the Tides kicked around last week on the hill for the Bulls. On the personnel side of the house Kam Mickolio was promoted to the Orioles to replace closer Mike Gonzales who was placed on the 15 day disabled list by the O’s joining Justin Christian who was promoted when Brian Roberts went on the DL. The Tides return to Norfolk on Monday for a four game home stand against the Gwinnett Braves. In Baltimore the Orioles lost their sixth straight game losing to the Rays 9-1 prior to traveling west for a series with the hot Oakland Athletics and the Seattle Mariners. The O’s are struggling early to find their center. They have a tremendous amount of talent and one wonders what is going on in the minds of the Orioles coaching staff and management. My guess is that if Manager Dave Trembley does not right the ship soon that he may be out sooner rather than later because frankly the Orioles are not this bad of a team. See you at Harbor Park on Monday where the Weather Channel is predicting a high of 66 with clear skies and evening low of 52. Of course this is Hampton Roads so keep your weather guessing skills sharp as we might have a blizzard or hurricane instead. If you are around section 102 at Harbor Park come up and say “hello” to me.